Whether you want to clear your kitchen cabinets so you can buy new cookware, clean out your children’s closets, or just get rid of a few miscellaneous items you no longer use, you can donate your old things to us. We accept most kinds of household items, like vacuums, televisions, pots and pans, end tables, vases, bed sheets, and much more, including clothing for people of all ages. You can even arrange a special pickup of large furniture. Whatever your reason for donating, you’ll enjoy knowing that your donations make a real difference in people’s lives. The donations we collect generate funds that we then give to the American Kidney Fund, a charity that provides direct financial assistance to people with kidney disease and their families. Your old items will be used to help kidney disease patients through difficult financial times, and that’s priceless. 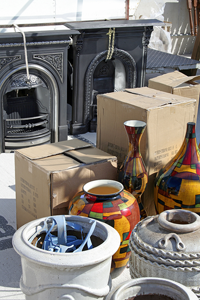 When you’re ready to donate household items to charity, contact American Kidney Services, an Atlanta, GA charity. You can also leave your items at any of our hundreds of drop boxes in the area, or take them to a nearby Value Village.